Joe Trio never wants to be thought of as an ‘average’ classical trio. They strive for diversity, versatility, humour, and unpredictability in everything that they do and their live concerts are no exception. Their repertoire consists of the classics – from Haydn to Shostakovich - new works by contemporary composers, and their own arrangements of popular, jazz, and rock tunes. And they're not afraid to mix together so many styles of music into a single piece that it makes your head spin. More than virtuosi, the Trio's members are fantastic performers who engage the audience in a way few classical musicians can. 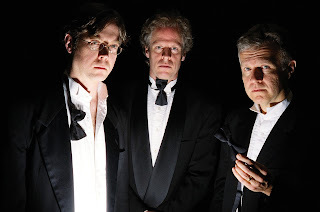 Witty, charming, and tremendously talented, Joe Trio leaves their audiences with a new appreciation for classical music. 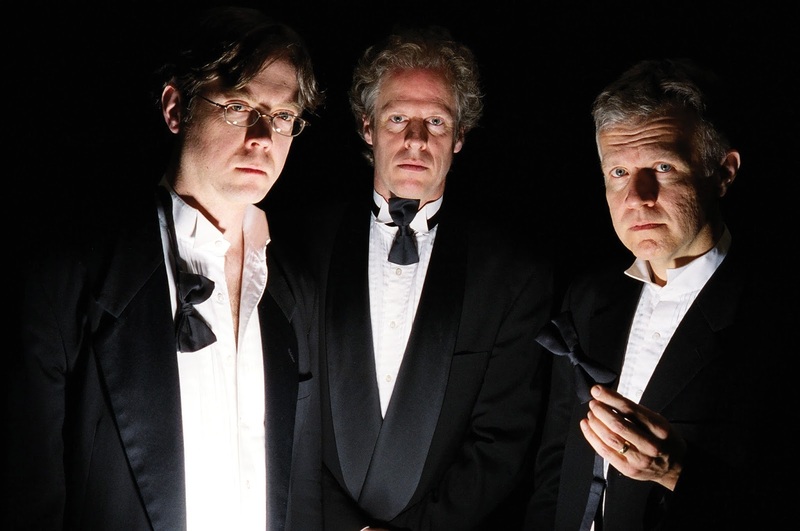 Enjoy Joe Trio’s classical concert with a twist at Horizon Stage on Tuesday, November 15. Trio members Cameron Wilson (violin), Charles Inkman (cello) and Allen Stiles (piano) are all accomplished musicians from the Vancouver area. Since forming Joe Trio in 1989 they have presented hundreds of concerts throughout Canada and the United States. They have recorded three CDs, been nominated for a West Coast Music Award, and toured BC and Alberta with CBC storyteller Stuart McLean. Violinist Cameron Wilson is member the gypsy jazz quartet Van Django, the Hard Rubber Orchestra, Pastiche, Mariachi Del Sol, and Tambura Rasa. His cSupernatural Noir, wrote the score for the 2014 short film The Mary Contest, and was recently commissioned by Chicago’s Lyrebird Ensemble to write a jazz inspired work for flute and harp. Charles Inkman has been playing cello since he was eight. He has a Bachelor of Music Degree in performance from the University of British Columbia, is a long-standing member of the Vancouver Symphony Orchestra, and teaches at the VSO School of Music. He is also the music director and conductor for the North Shore Chamber Orchestra. Charles has recorded for movies and television, performed in Broadway musicals, and played with John Denver, Frank Sinatra Jr. and Brian Wilson. Allen Stiles plays with the contemporary music ensemble Standing Wave and is a founding member of The Little Chamber Music Series That Could Society. He holds a Masters Degree in piano performance from UBC. Allen currently teaches at the Langley and Richmond schools of music and the the Douglas College Community School. Spend an unpredictable, fun, and music-filled evening with Joe Trio at Horizon Stage on November 15 at 7:30 p.m. Tickets are $35 for adults and $30 for students and seniors and may be purchased at the City Hall Ticket Centre (315 Jespersen Ave), by phone at 780-962-8995 or 1-888-655-9090, and online through ticktpro.ca. Looking for Great Holiday Gift Ideas?